Pulau Hantu means 'island of ghosts' in Malay as it is believed to be the embodiment of two ancient Malay warriors who once fought to the death and were turned by the gods into islets to preserve their spirits. Accessible through work boats departing from West Coast Point, Pulau Hantu is actually made up of two islets Hantu Besar (Big Ghost) and Hantu Kecil (Little Ghost) and are today the favourite spots of local fishing and snorkeling lovers. 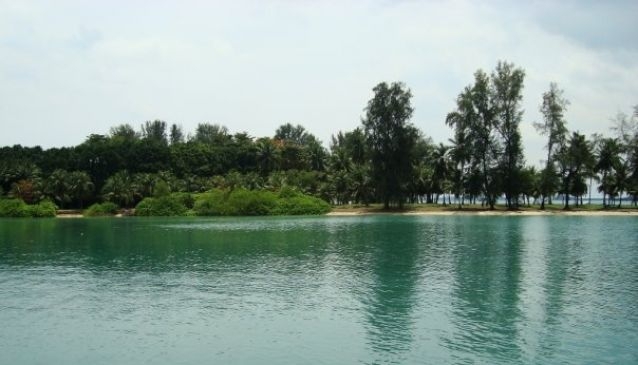 Both islands have shelters and picnic areas but it's at Hantu Besar that you'll find two swimming lagoons and a public toilet with fresh water. At low tide, you can walk across the shallow lagoon between the two islands but not at high tide. With its white sandy beach and rich coral, Pulau Hantu attracts marine life enthusiasts and diving clubs such and if you're looking for overnight staying make sure apply for a camping permit at administrator@sentosa.com.sg.